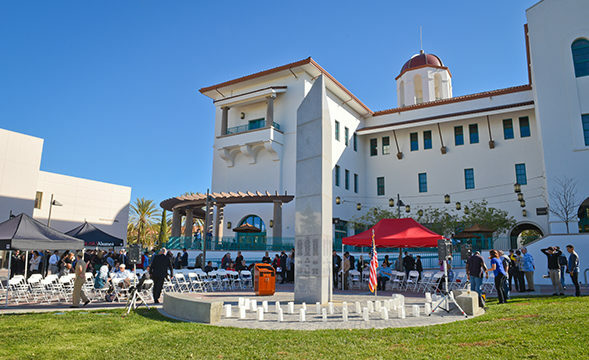 A wreath-laying ceremony is scheduled Friday at San Diego State University‘s memorial for Aztecs who died while serving in the military. 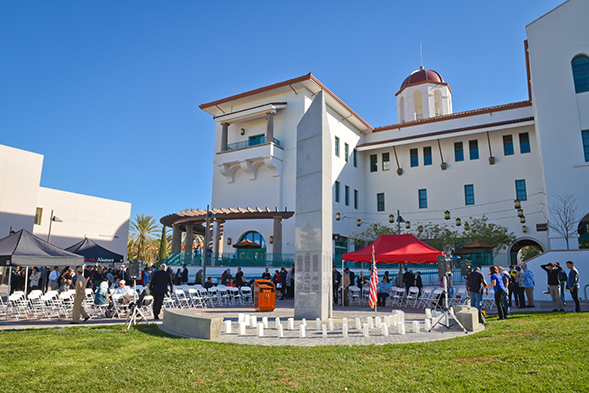 The annual Homecoming Week tradition is scheduled for 9 a.m. at the 20- year-old memorial, located just west of the Aztec Student Union. The ceremony is open to the public. — Navy Lt. Christian John Hescock, an extended studies student at SDSU who died in 2007 in a helicopter crash in Guam. Hescock had previously earned a computer science degree from the University of San Diego. Adm. Scott Swift, the Navy’s Pacific Fleet commander and SDSU alumnus, will deliver the keynote address. Swift is this year’s honorary homecoming chairman. The ceremony will be followed by a reception at the school’s veterans center. Both events are open to the public, according to SDSU.